Summer reading lists are almost mandatory in this book review business. They remind me of elementary school. My mom — continually short on time and long on work — would send my sister and I off to the library at least once a week during summer vacation, with me designated as “the one in charge.” We would walk the mile in the Cleveland humidity and spend as much time as possible in the air conditioned children’s reading room. I would sneak into the Adult section to check out Agatha Christie mysteries. I was oh-so-risque. To this day, my sister and I are both avid readers, due at least in part to that old summer habit. This summer for my reading list, I’m stepping back from the new books I usually read and review to read some titles that have been hanging out on my “gotta read” list for too long. There are more books on this list than there are months in the summer, however, so really this is a wish list as much as a reading list. As all of these books are out and widely available, I’m sharing it in advance and inviting anyone to read along. I’ll be tracking my progress on Goodreads if you want to follow me there and, of course, there will be reviews here. Alif the Unseen is written by one of the most respected women writers in comics today, G. Willow Wilson. Before she brought the world a Pakistani-American Ms. Marvel, she wrote this cyberpunk novel set in an unnamed Middle Eastern emirate about Alif, a man wrapped up in love for aristocratic Intisar and about to find out that all the old stories are true… much more true than he might like. I picked this book because I’m a fan of Wilson’s comic book work, so I wanted to dig deeper into her talents. Plus I love that it is centered outside of the United States and as such challenges the diversity of American cyberpunk as it is usually written. One of Octavia Butler’s less-often-mentioned works, this is the first installment in her Patternist series. It centers around two immortals, Doro and Anyanwu. Doro is a body snatcher. Anyanwu is a shapeshifter. Both have visions of the future world, but they are creating them in very divergent ways. 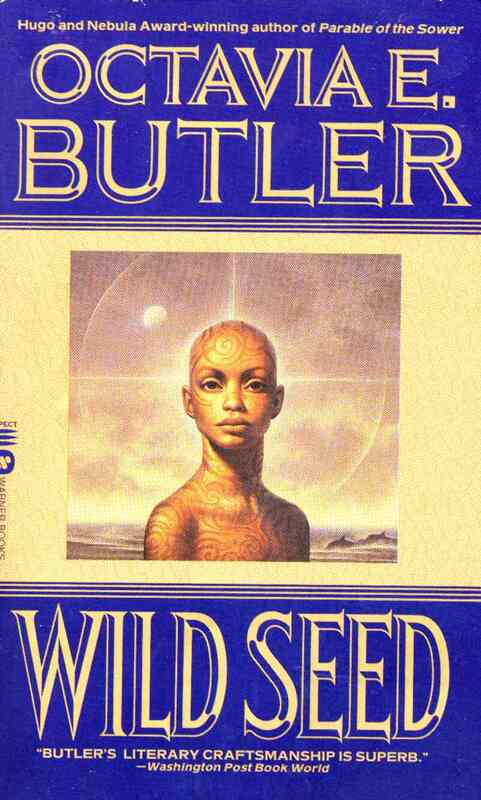 I haven’t read as much of Butler as I would like, especially after having read Octavia’s Brood, an anthology dedicated to her social justice minded approach to speculative fiction. To become more familiar with her writing, I wanted to read a book off the beaten path of her more popular books. I’m excited to read this series and to completely immerse myself in one of her fantastic visions of the world. N.K. Jemisin has a new book, The Fifth Season, coming out in August, so it seems a good time to catch up on her past work. 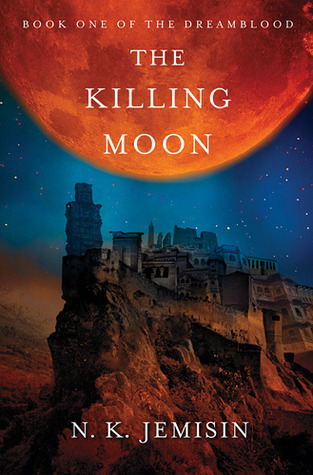 The Killing Moon is the first in Jemisin’s Dreamblood series, set in a city where “peace is the only law.” That almost guarantees that plenty of death happens in this book. I’ve read some of her short stories and loved them. I picked this book because I’m always looking for epic fantasy fiction set NOT in a copy of Medieval Europe and I’m told this one is set in a unique fantasy world. Plus it comes highly recommended to me by friends, so this was an obvious choice. 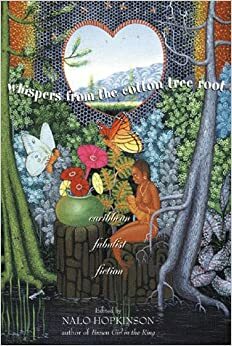 This is an anthology of Caribbean Fabulist Fiction edited by Nalo Hopkinson. Fabulist fiction, also known as magical realism, straddles and bends the western concept of speculative fiction. The stories are definitely otherworldly, but their unusual elements aren’t “speculative” in the context of the story. These kinds of stories, often associated with the writings of post-colonial peoples, take magic as a different kind of truth, and often use the tension between “magic” and “reality” to question more Eurocentric ways of being. This is a challenge I am up for and as Hopkinson is one of my favorite authors, picking this one up was easy. I covered Steamfunk!, edited by Balogun Ojetade, as one of my first books for the site, so revisiting one of his books that founded the genre seems only right. This is an alternative history of Harriet Tubman in which she “must match wits and power with the sardonic John Wilkes Booth and a team of hunters with powers beyond this world in order to save herself, her teenaged nephew, Ben and a little girl in her care – Margaret. But is anyone who, or what, they seem?” I’m expecting Moses to be a wish-fulfillment romp, a great escape from the day-to-day — just what I need to keep my spirits up while I’m working and not missing those long summer days spent sitting in the library with my sister. Follow my progress on Goodreads and share your own Summer Reading Lists in the Comments. I’m always on the look out for something new to read. Thank you for your list – I just received Alif the Unseen from my library. I must add Fifteen Dogs by André Alexis to your Summer reading.